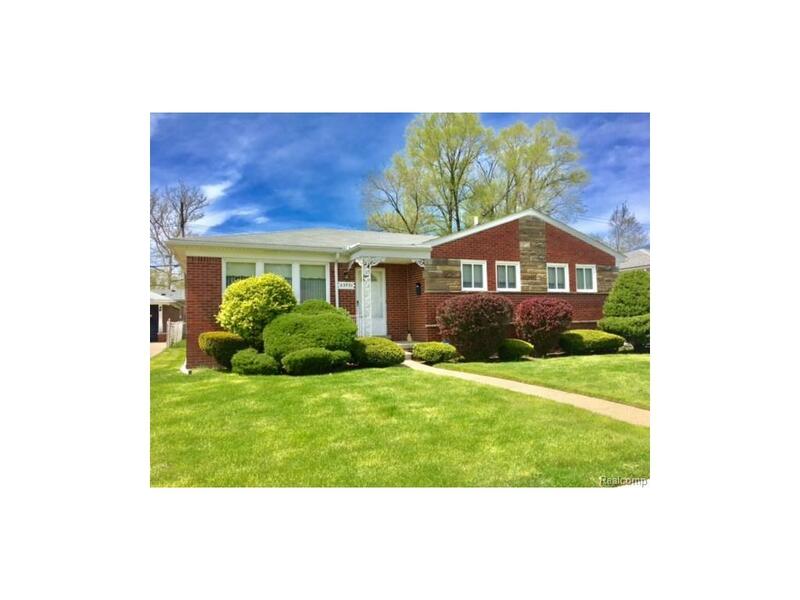 Welcome home to this spacious & well built brick ranch in Oak Park. Longtime owner (40 years) is going to miss the Lg LR & DR, the family room (which features a wet bar), as well as the Lg kitchen w/ adjoining breakfast nook. There are 3 bedrooms and 2 full baths on the main level, hardwood floors under carpet in LR, DR, Bedrooms & hall. Huge finished LL w/ summer kitchen/bar, 2 living areas, and a 1/2 bath. Exterior features include a covered front porch, rear patio. 2 car garage (cinder block), newer windows, & much more. Imm occupancy, central air, copper plumbing & ready for your decorating touches. It's time to Make Home Here.